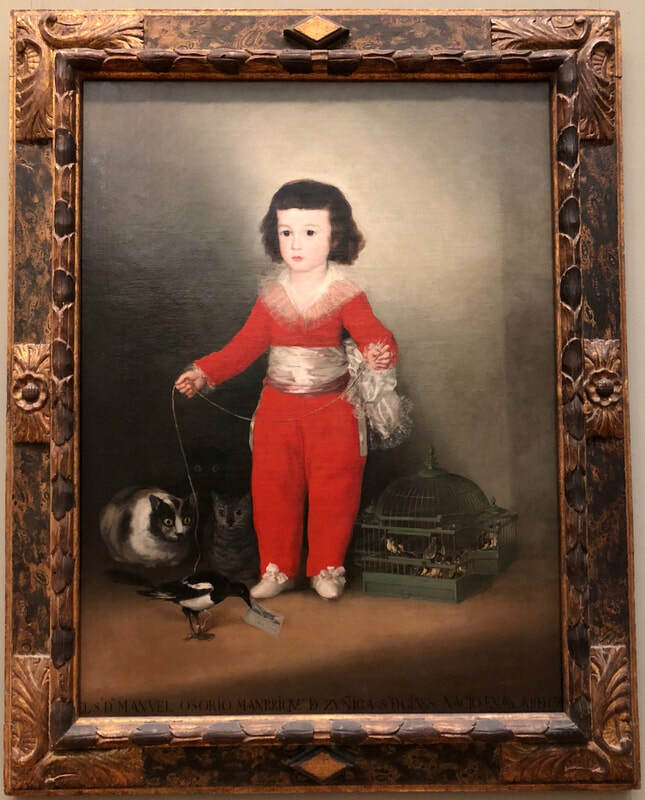 “Manuel Osorio Manrique de Zuniga,” also known as “Red Boy,” is a 1787 oil on canvas painting by Francisco de Goya, on exhibit and part of the permanent collection at the Museum of Modern Art in New York City. The painting was a one of a series of portraits of the family of Vicente Joaquin Osorio Moscoso y Guzman, the Count of Altamira. Manuel was the Count’s youngest son. Dressed in a spectacular red costume, Manuel is accompanied by a pet magpie, a cage full of finches and three wide-eyed cats. The magpie, an intelligent bird, has Goya’s calling card in his mouth – a personal touch from the artist. While the birds and the child represent innocence, the cats, focused on the magpie, symbolize the forces of evil, standing completely motionless but representing a constant threat. 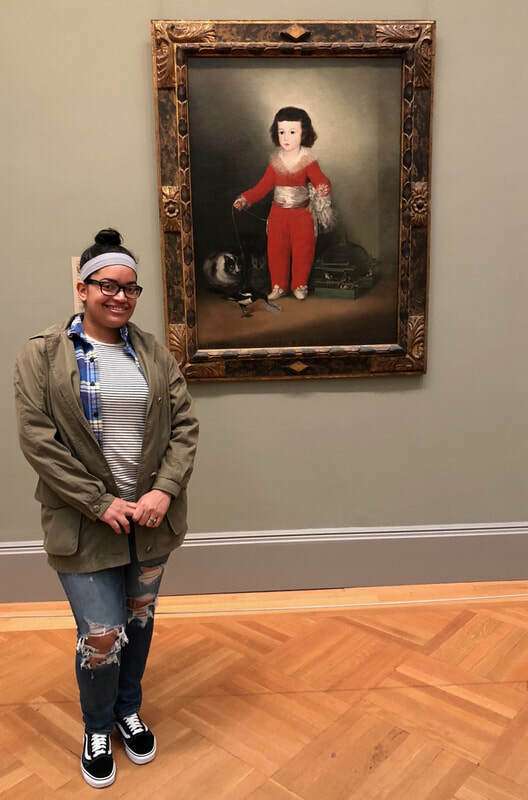 Apparently, Goya intended this portrait as an illustration of the frail boundaries that separate a child's world from the ever-present forces of evil. The painting was considered to be one of the most successful portraits of a child painted during his time. Goya, 1746-1828, was an artist who expressed his ideas and views of the world through his work, a pioneer of romanticism. He started very young, learning from other Spanish artists and later influencing many other artists, during and after his time. His personal life, however, was not as successful, and it was reflected in his art. His wife suffered many failed pregnancies and miscarriages. He lost his hearing. Only one son grew up into adulthood. He dealt with many other traumatic issues, and yet he art was magical.